Custom fabricated UAV optics for the new smaller drones and tiny flying robots that are made from sapphire for demanding applications or zinc selenide are being introduced by Meller Optics, Inc. of Providence, Rhode Island. 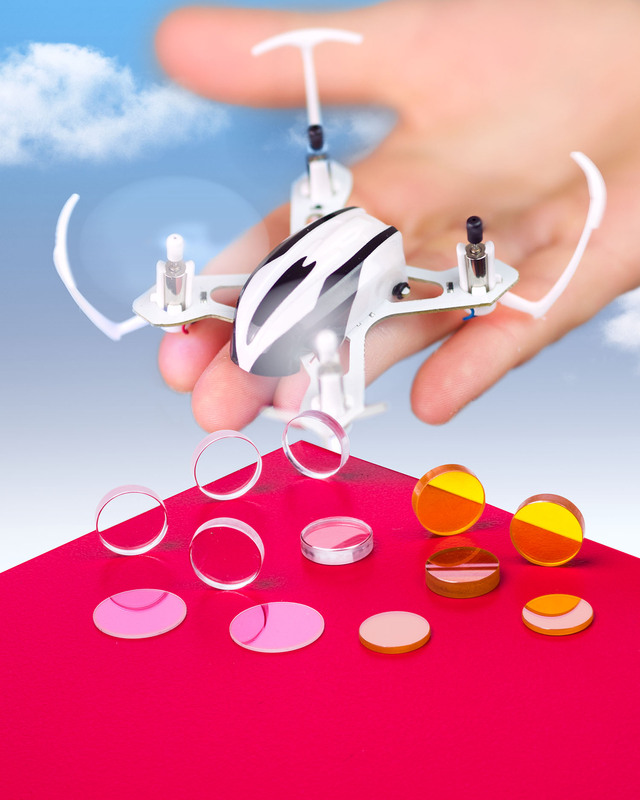 Meller UAV Optics are ideally suited for use in ever-shrinking drones and tiny flying robots and feature round sapphire lenses from 0.25” up and partial spheres as small as 0.12” with varying focal lengths. Available with A/R coatings for the visible to 10.6 microns, these sapphire optics are second only to diamond in terms of hardness for demanding applications. Meller UAV Optics are also offered made from zinc selenide (ZnSe) from 0.25” up. Developed for OEMs, the firm can incorporate stepped edges and other special characteristics for mounting such as slots or wedges. Flatness can be held to 1/10th wave per inch in the visible with surface finishes from 60-40 to 40-20 scratch-dig. Meller UAV Optics are priced according to material, configuration, and quantity. Price quotations are available upon request.